Dr. Thai Toan Lam on the left. 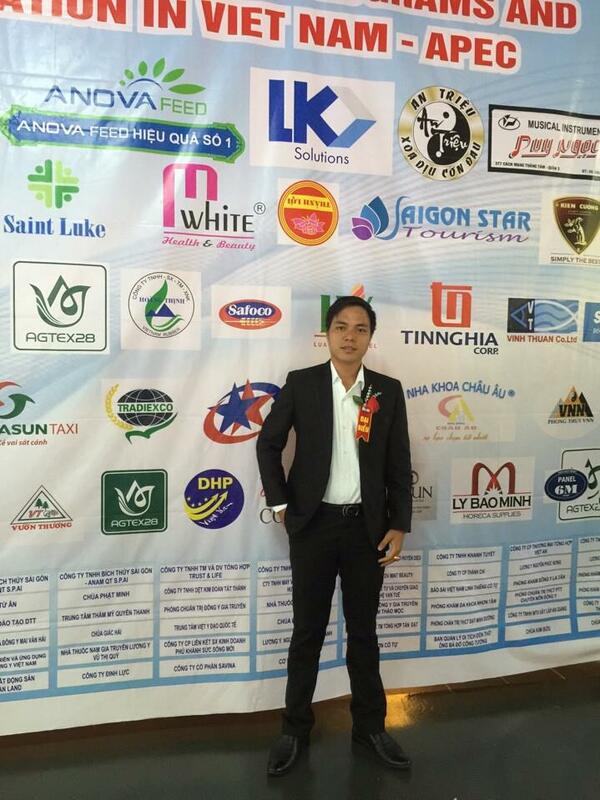 The program was organized with the desire to build and promote the brand as well as improve Vietnamese-branded quality and services. At the same time to strengthen the country's internal economic forces, strengthen unity, integration and cooperation help Viet Nam business community develop sustainably in the international arena. Plan selected and honored the typical enterprises is organized by the leading reputable rating: Chamber of Commerce and Industry of Vietnam (VCCI), Vietnam Chamber of Commerce - USA, Network Business Council ASEAN, UNESCO Union of Vietnam in Ho Chi Minh City. This proves to the development efforts and the potential of the company. Receiving an award from the APEC Economic Organization will encourage the business community in Vietnam in general and LKV Advanced Solutions in particular to enhance their capabilities, efficient production and business activities and improve the quality of products as well; It also helps to contribute branding for businesses, to promote integration and increase competitiveness in the market domestically and internationally. LKV Solutions Company was honored as "the typical enterprise," a precious achievement against to criteria such as the business has sustainable development, offers the best products to customers; The products are first applied with the latest science and technology; There are many efforts in building work and brand development; and was rewarded the certificates, awards nationally and internationally. 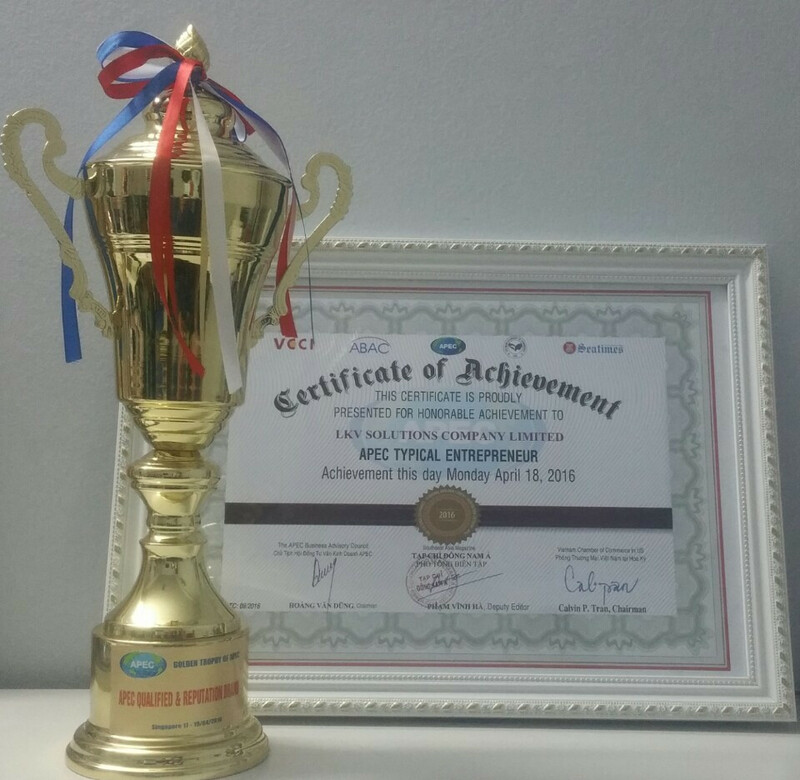 Receiving two prestigious awards from APEC is a great honor for your company and employees LKV Solutions. It marked the collective efforts which have been constantly evolved. Recognition from organizations APEC also gives us further impetus, a solid stepping stone to increasingly go beyond.